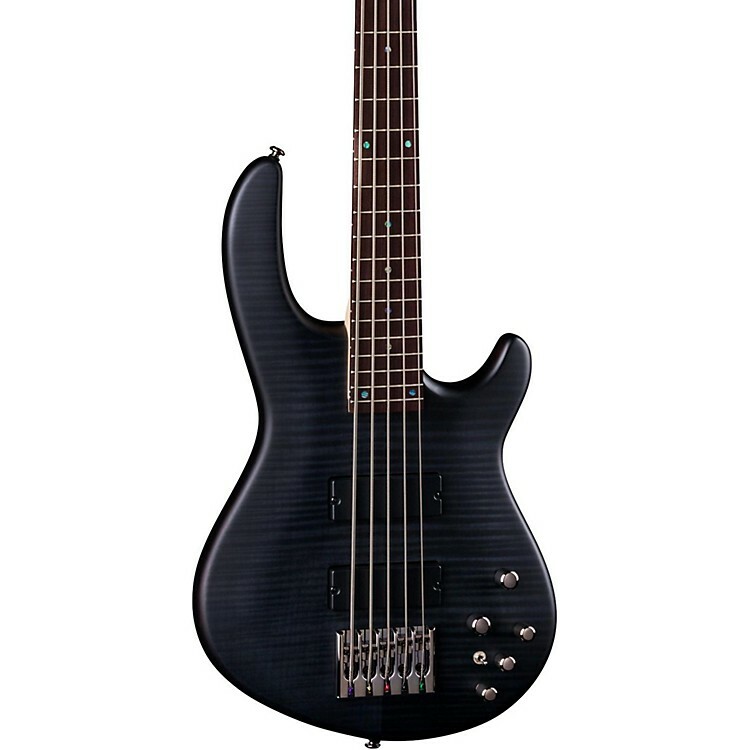 A solid beginner or intermediate player's bass with plenty of style and great tone. A great bass for a killer price! The Dean Edge 5 Flame Top electric bass guitar has a comfortable double-cutaway mahogany body, flame maple top and a bolt-on maple neck with a a 34 in. scale Comes standard with DMT Design pickups, an ABM adjustable bridge and solid, die-cast tuners. Also features a 24-fret rosewood fretboard and mother-of-pearl dot inlays. Get your wings today!